Tax preparation for individuals, businesses, farms and estates. 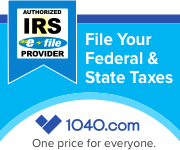 E-filing Federal and all 50 states and Tax Planning. Our mission is to proactively provide quality services to our clients that will enhance their financial well being and to provide owners and employees with personal growth and meaningful work in a pleasant and productive environment. Our firm has many specialties including small business, individual, and real estate. In addition, we are also very familiar with agribusiness and can handle any out of state return. Our accountants go through extensive training throughout the year. We personalize our services to each customer. In fact, we love the relationship with our customers. They are like friends and family to us. We are a CPA firm that provides tax, accounting, bookkeeping, Quickbooks, payroll, services to central Minnesota including Brainerd and Little Falls.